One of the essential ways to avoid a financial crisis is having an emergency fund. After covering your expenses and purchasing your needs, try to save what’s left and put it in your emergency savings account. That way, whenever you truly need it, you’ll have an emergency fund that can provide you an instant cash. It’s always better to have an emergency fund and be able to borrow money quickly for yourself. However, idealism does not always coincide with reality. You may get into a situation (overdue utility bill, a broken-down car, or a trip to the emergency room) when you need a quick access to cash and have to find a way to borrow money. 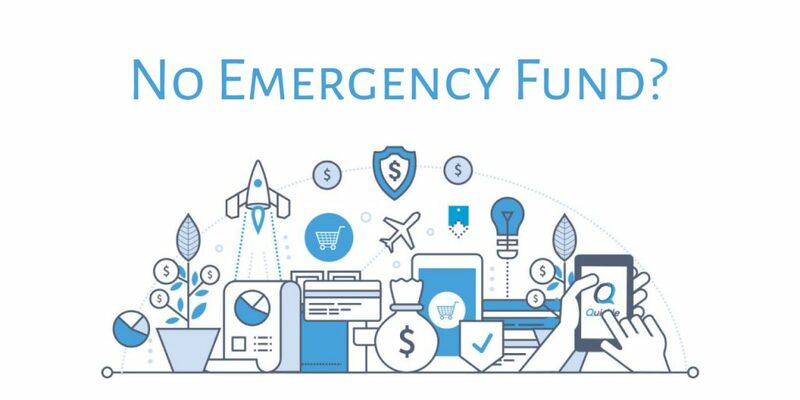 If your emergency fund cannot cover the full amount, you do have options which include loans from credit unions and banks — which could take a few days to a week. You can also get quick loans and credit card cash advances — which can lend you cash in an instant. Before you acquire money from a lender via a quick loan, take some time to shop around if you have bad or no credit. It is better if you can find an interest-free source of money. If you are employed, ask for an advance on your next paycheck. Some employers even provide Employee Assistance Programs (EAPs). You can ask your family or friends for a loan and deal with it in a businesslike manner. Sign a written agreement to document it and to avoid any possible complications in the future. Keep in mind that aside from money, you are also risking close relationships in this approach. Getting cash through quick loans has become popular because the process is done faster, online, and paperless. You can get approved for loans between $300 and $2,000 regardless of your credit statement and repay it depending on the amount borrowed. These loans can be both secured or unsecured with the required documentation which can be provided online. Upon approval, the money is directly transferred into your account within a few hours. Take Quickle’s quick loans as an example. Quickle will assess your suitability for a loan and help you find the financial product that is right for your needs. You can see the complete fee table on their website for the breakdown, or get in touch online for more information. By using your credit card, you can get loan immediately. These cash advances are capped at a fraction of your credit limit, which is why you should be aware that they come at a high cost. The annual percentage rate (APR), 25% on average, is quite higher than what you would pay for regular purchases. Most credit card issuers also charge cash advance fees, 3-5% of the amount borrowed, while the interest begins to accumulate right away. You need to pay the loan off as soon as possible in order to stop the charges. A credit union or the bank can also be an option to get quick loans. Besides a credit card cash advance, you can also get a home equity line of credit, a home equity loan, and an unsecured “signature” loan. Look at credit unions first when you decide to take this type of loan. You can get more personalized attention and a better chance of getting approved, while large banks will mainly look at the data in your loan application. Consider the collateral you will pledge and the worst-case scenario that can occur before signing the loan papers (e.g. What will happen if you’re unable to repay the loan?). Deliberate on other loan options that don’t require you to put such important assets at risk if you’re unsure that you can make the repayment on time. Remember, you’re taking a huge risk by pledging an asset (e.g. your home). Although the bank takes less risk and can approve a larger loan with a lower interest rate. It’s always best to have an emergency fund and if you don’t have one yet, start building it right away. It is also a better option if there’s something you could sell to cover the emergency costs. If you’d rather take on a loan than sell your personal items, consider the options above.